There can scarcely be a greater tribute to the vitality of the Fifth Republic’s democracy than this monumental work. A searching analysis of how the will of the voters is translated into authoritative political decision making, this book not only uncovers political truths about contemporary France but also provides a model for the study of other popular forms of government. 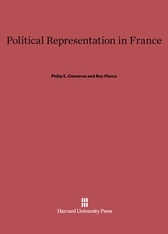 The authors set out to find an answer to the perplexing question of how representative government operates in France in the seemingly unstable context of multiparties. By interviewing voters as well as legislators in 1967 and in 1968 after the great upheaval, and by monitoring policies of the National Assembly from 1967 to 1973, the authors test relationships between public opinion and decision making. They are able to sort out the abiding political cues that orient the French voter, to establish the normal electoral processes, to gauge the nature of mass perceptions of the political options available to voters, and to interpret the strikes, riots, and demonstrations of 1968 as a channel of communication parallel to the electoral process itself. 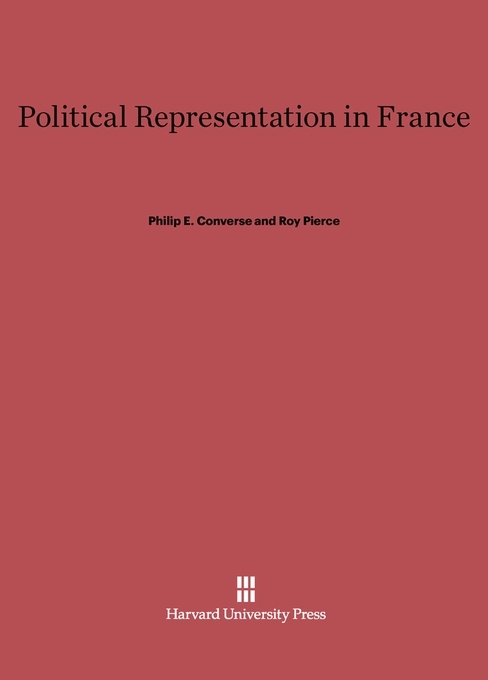 Lucid in style, methodologically sophisticated, and often comparative in approach, Political Representation in France is a seminal work for political scientists, sociologists, and historians.